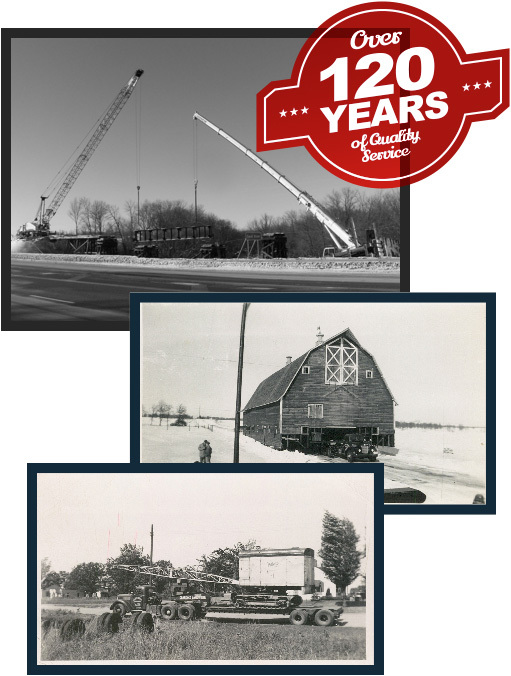 Since 1895, Landwehr Construction has built a reputation of outstanding customer service and commitment to excellence. Our central location in St. Cloud, Minnesota and large inventory of innovative equipment gives us the flexibility to serve our customers efficiently and at a competitive price. We employ highly trained and skilled workers, many of whom are certified in their field. And as a family-owned business, we take pride that our employees have longevity and choose to build their experience with Landwehr. In fact, our team holds 180 years of combined experience in project management, giving you peace of mind that your project will be done right. Safety is embedded in the Landwehr Construction, Inc. work environment and culture. Our employees are skilled and trained to work safely and not compromise production or quality. We boast an enviable worker’s compensation mod ratio that is consistently below 1.00 and promote zero tolerance for accidents. Our active safety committee is comprised of employees from all ranks of the company who head up the safety education, promotion, incentive, and program review efforts throughout the company. We have employees specifically trained in hazardous and asbestos material detection, OSHA 10 safe practices, ground tank removal and supervision, erosion and sediment control management, first aid/CPR, and demolition landfill practices.